Home » Meet the Eye Doctors » Walter Yim, O.D. Walter Yim, O.D. graduated with honors in 2004 from the Southern California College of Optometry (SCCO) in Fullerton after completing his undergraduate studies in Biopsychology at UCLA. While a student at SCCO, Dr. Yim’s clinical skills earned him the coveted Vistakon Award of Excellence in Contact Lens Patient Care. His clinical training included internships at the VA hospital medical centers in Palo Alto and in downtown Los Angeles where he gained extensive experience in working with the geriatric population. Dr. Yim is also licensed in the use of diagnostic and therapeutic pharmaceutical agents and is certified by the National Board of Optometry in the Treatment and Management of Ocular Disease which means that he is able to diagnose, treat, and manage a wide range of ocular conditions including allergies, infections, injuries, glaucoma, and diabetes. 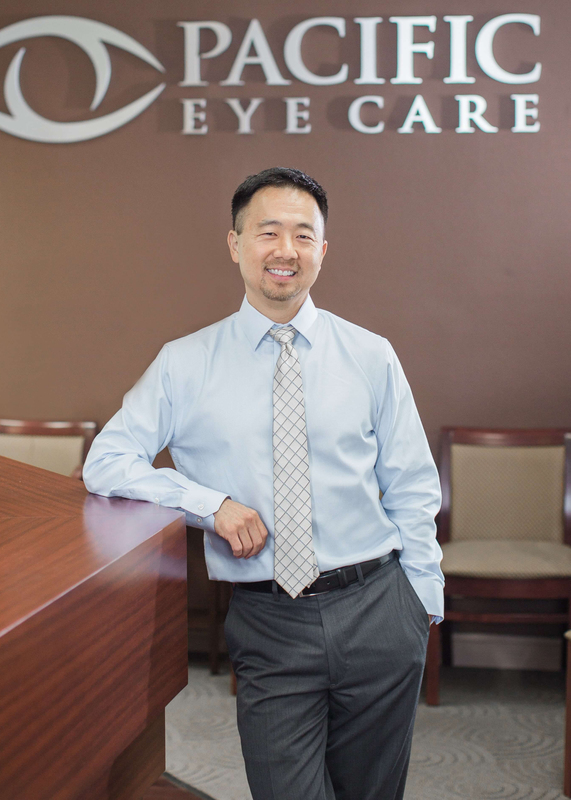 Dr. Yim also co-manages LASIK patients, providing consultation, pre-op, and post-op care. Like Dr. Jankowski, Dr. Yim has also undergone LASIK personally, and is able to discuss firsthand with patients the pros and cons of the procedure. Dr. Yim’s special interests include glaucoma, dry eye conditions, contact lenses, and pediatrics. In his spare time Dr. Yim enjoys writing and recording music, playing golf, going to the gym, and spending time with his wife Kara, and his two sons Noah and Nathan.